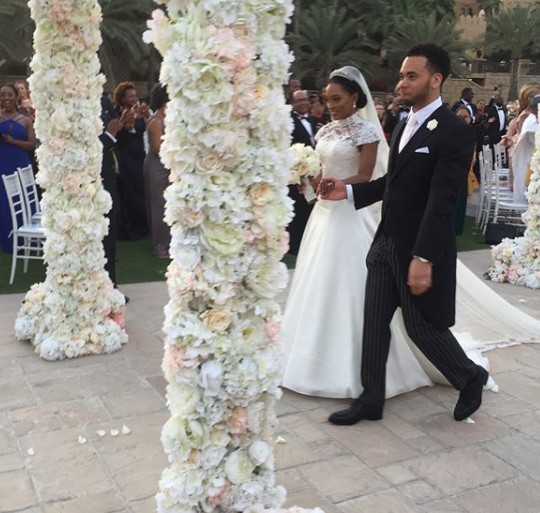 Former Vice President Atiku Abubakar and his wife, Jennifer, yesterday threw their son, Tony, a grand wedding in Dubai. Tony got married to his fiancee, Whitney. The wedding took place at the Madinat Jumeriah luxury hotel and from the photos and videos shared online, it was a very classy wedding.